What does it mean to Live Like Kinsley? Kinsley was an amazing man who lived life in the moment, loving each day, surrendering to its flow, and spreading joy as he did. He gave everyone he met his best, left you better than he found you, and encouraged us all to work smart so we could play hard. He knew the meaning of life was love and lived it to the fullest. With an infectious smile he brightened the darkest of days and stoked us all out with a joy to truly live. Kinsley started XtremeBigAir as a way to help his friends enjoy their common passions, kiteboarding and paragliding. It started as an online store and forum to help his friends connect and buy toys they could enjoy together. He documented his/our trips, started the KitExpo event to bring us all together, and did everything he could to spread the stoke. I was blessed to be his wife. We had an incredible journey together. Kinsley showed us all that whether in a body that does exactly what we train it do or a body injured from a spinal cord injury life is worth living and living well. His persistence, determination and drive to re-train his body towards walking motivated us all to do our best in life. Now, as our angel of stoke he flies free without constraint of a broken body guiding us all to live. Our story is linked here. As my children and I move through life we are finding our way to take what Kinsley inspired in us and create. We wanted to continue the legacy he created: stoke for the central coast and stoke for the xtreme sports that brought us together. We will also bring in new passions as we grow and change like my sons passion for music. Thank you for your support as we create XBA in a way we can enjoy, grow and thrive with! 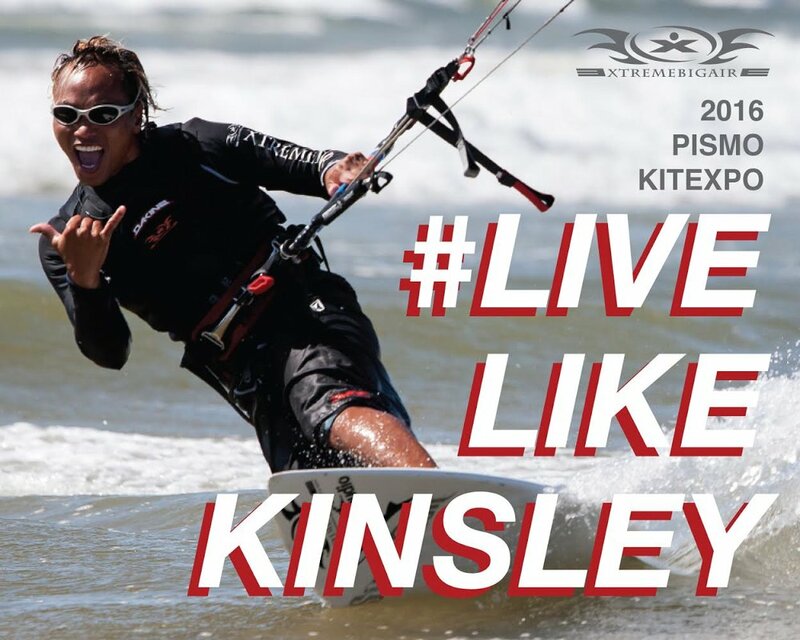 Live stoked and Live Like Kinsley! Cheers! !